How are Gainesville FL home sales? The sale of Gainesville short sales and foreclosures is up 21% from 2012. 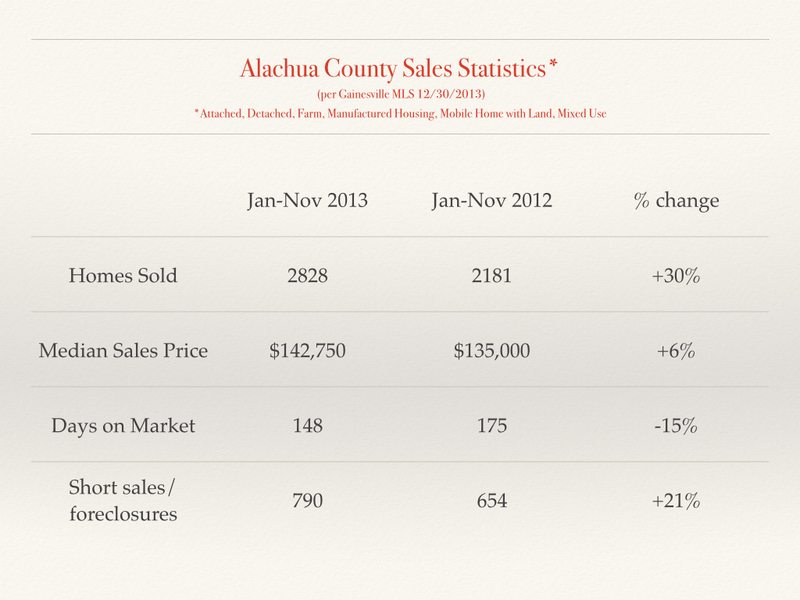 An in-depth Gainesville real estate market report covering market activity for all of 2013 will be released in early January.